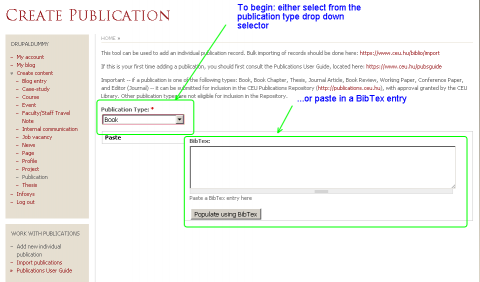 This page walks you through the addition of a single publication record. Click on images to expand. If you have not yet consulted the Publications User Guide 'before starting' checklist, please do so before continuing. Step 1: Select 'Add new individual publication' from the Work with Publications menu, located beneath your account navigation menu after logging in. 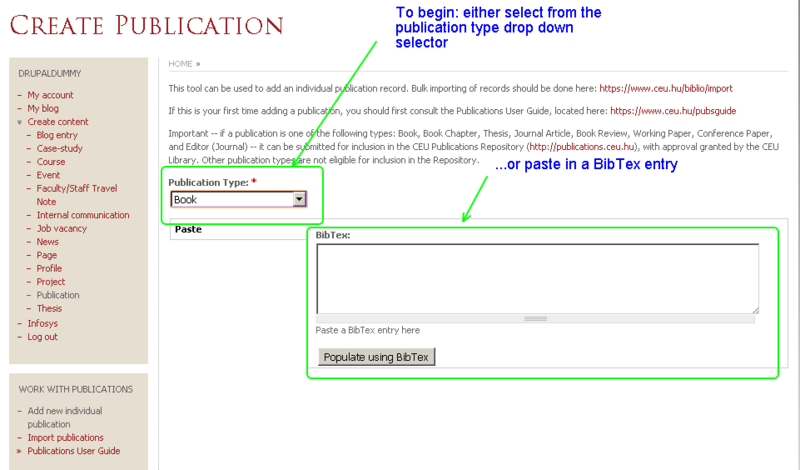 Step 2: To begin the process, either select the publication type or directly paste in a BibTex entry to forward to the editing screen. Do this with the instruction of Step 4, otherwise, skip to Step 5. 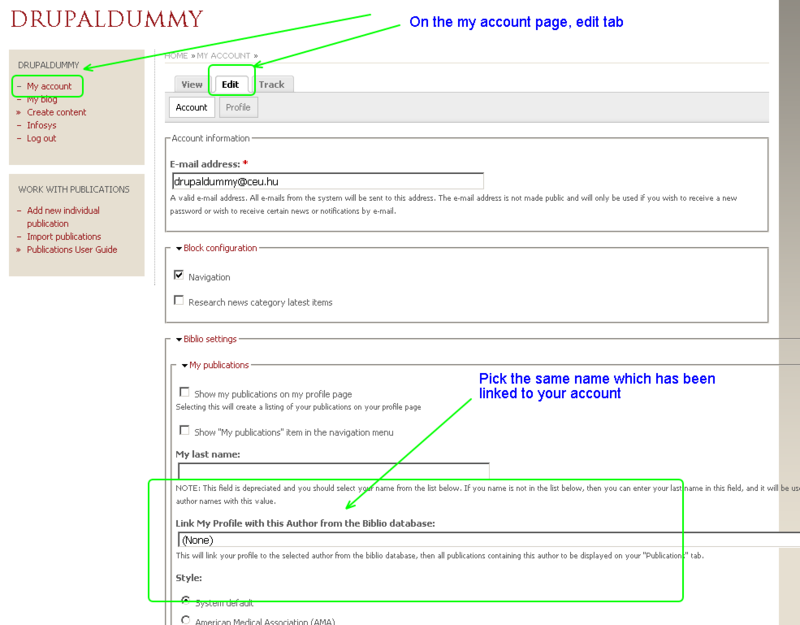 Step 4: Open a new window or tab, and click on the 'my account' link from your navigation menu, then on the edit tab. 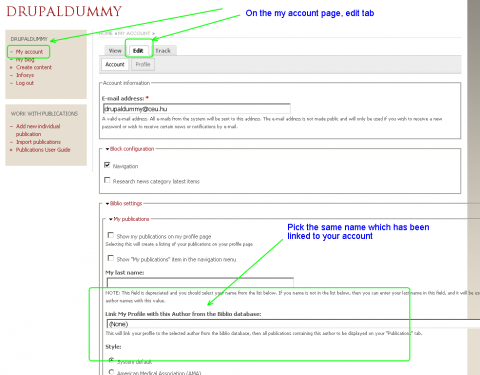 Notice the name variation entered into the 'Link my profile from this author in the Biblio database' field. Pick this from the author reference as shown in Step 3. Then continue with Step 5. Step 5: Continue to fill in fields as appropriate. 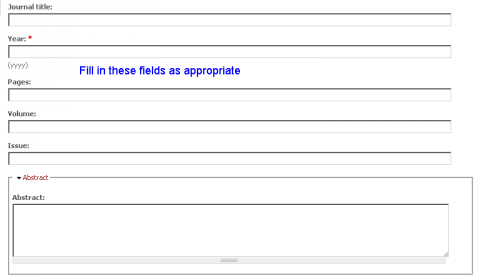 Step 6: Continue to fill out, paying close attention to the unit reference field. 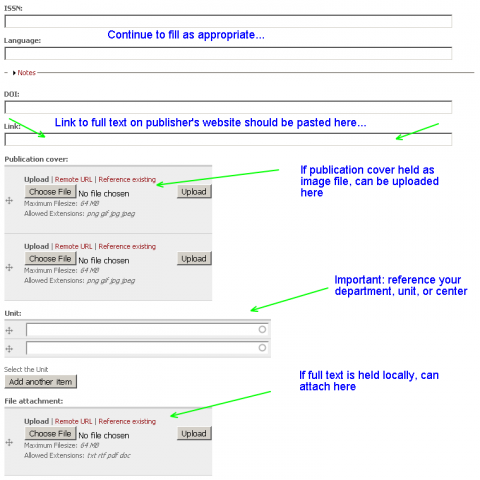 Adding a reference here will allow your publication record to be viewed in your department's publication list. Also, if you can share a full text in Doc or Pdf format, attach here. 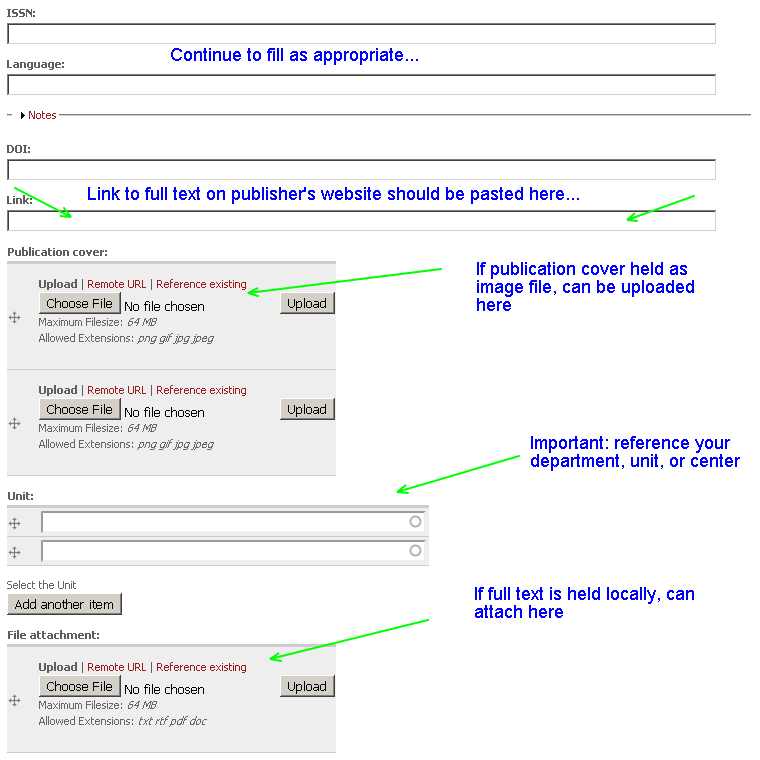 Importantly, if the full text should appear only via the publisher website, paste that link into the 'link' field. Step 7: You can paste full text into this section if attaching a full text file is not possible. Note: If the publication type is one of the following: Book, Book Chapter, Thesis, Journal Article, Book Review, Working Paper, Conference Paper, and Editor (Journal), it will appear on your Publication Repository page. The CEU Library reserves the right to edit/remove records on the Repository, for accuracy.